Daryl Hall is a singer, who plays the keyboard and guitar. He is mostly popular for the 'Hall and Oates' duo that released many top charting hits. Hall's genre of singing encompasses soul, R&B and pop rock. The highlight of his career was the seventies era, when he scored several hits on the Billboard charts. His tracks such as "Rich Girl" and "Maneater" are still popular today. Get Daryl Hall tickets and hear the experienced musician strike up symphonies that were highly popular back in the day. Daryl Hall was born in 1946 in Pottstown, Pennsylvania. His birth name was Daryl Franklin Hohl. Born to a family that had a musical background, Hall also took a deep interest in music. His mother was a vocal coach and his father was a professional singer, as a result, Hall majored in music from the Temple University in Philadelphia. He continued with recording efforts throughout his student life and formed the band "The Temptones" along with four other fellow university students. They won a local competition held at the Uptown theatre which furthered their musical aspirations. Daryl Hall met freshman John Oates in 1967 and they worked together on music for a brief period. Oates transferred to a different school that led to the end of their initial affiliation. However, Hall was not deterred and kept pursuing his musical career. As music became his top priority, his studies deteriorated and he dropped out of university. Till Oates returned to Philadelphia, Hall was part of a rock band named "Gulliver". The band released an album signed with Elektra Records. In 1972 Oates and Hall reunited, managed by Tommy Mottola. From the seventies to the mid-eighties, Hall and Oates released six number one singles which include the songs "Private Eyes" and "Kiss on My List". Five of their songs made it to the top ten ranks as well, apart from the number one charting tracks. The duo made a huge impression in the pop and soul music scene of the eighties. To date, they still hold the R.I.A.A. record for the number one selling duo in music history; a feat they achieved by 1987. Daryl Hall worked with other artists as well in addition to working with Oates. He worked with Robert Fripp on his critically acclaimed album "Exposure". Halls debut, solo album was released in 1980, titled 'Sacred Songs' which was produced by Fripp. The singer, songwriter and producer co-wrote and produced a song for Diana Ross, "Swept Away". The song charted in the top twenty in the US. Hall released another album in 1985 which went by the name of "Three Hearts in the Happy Ending Machine". It was a joint venture with Dave Stewart. The same year, Paul Young sang a cover of the Hall and Oates song "Everytime You Go Away". He managed to get a number one hit with the cover of the song written by Daryl Hall. Hall's solo songs were very well received as well, especially "Soul Alone" and "Can't Stop Dreaming", released in 1993 and 2003 respectively. These songs received wide international acclaim and were popular with Hall's fans. Hall got together with Oates again in the latter half of his career and toured and worked on new albums. The duo released their first album of the new millennium in 2003. It was titled "Do It for Love". A year later they came up with the album "Our Kind of Soul". "Home for Christmas" another very popular album of theirs was released in 2006. In 2007, Hall started a monthly web series named "Live from Daryl's House". The episodes featured an array of artists with whom Hall collaborated with to make music. It was an extremely innovative way Hall employed to reinvent his music. He grouped with current and past famous names, making music with them. He familiarized himself with the best music by current artists and quickly accustomed to the scenario. Get Daryl Hall tickets and hear an extremely talented and versatile musician rock the stage. The average Daryl Hall tickets price will cost you between $162 and $293, if you are looking for the cheapest seats then catch the event being held at the Breese Stevens Field, Madison on 25/08/2019. 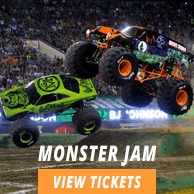 The average ticket will cost you the highest on 14/09/2019 at the Puyallup Fairgrounds, Puyallup. Minimum get in price is for Daryl Hall tickets is $49 for the event being held at the Bank of New Hampshire Pavilion, Gilford on 17/08/2019 , there are some venues that have a much higher get in price, for instance the cheapest seats at the Mark G. Etess Arena at Hard Rock Hotel & Casino - Atlantic City, Atlantic City on 30/08/2019 will set you back $136. When will I get the hall and oats concerts tickets? I want to buy daryl hall and john oates tickets! Help. Can I buy my daryl hall concert boston tickets for the seats of my own choice? Yes, please go through the seating plan available at our website and book your Daryl Hall Tickets according to your own choice of seats. Please note we will only be able to provide you those seats if they are available and not sold-out. You can get your Daryl Hall Tickets from our site at very low rates. Daryl Hall Tickets will be sent to you within the time specified.